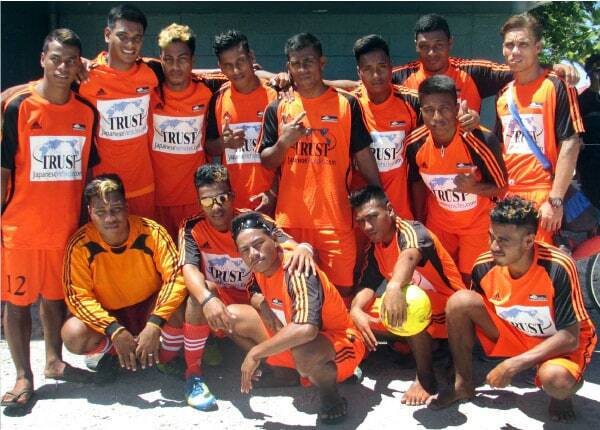 News and announcements from Trust Company Ltd .
Trust Company is proud to announce that we are sponsoring Eita United, the youth football team in Eita Community in Tarawa, the Republic of Kiribati. The team was formed by Eita community to support good health of youth. In the recent Tarawa Urban Council (TUC) tournament held in May, Eita United came in second place. The team has now proceeded to the final of National Independent Celebration held on July 12. In a long term, the team is targeting at becoming Tarawa football team representative in the Kiribati National Championship. 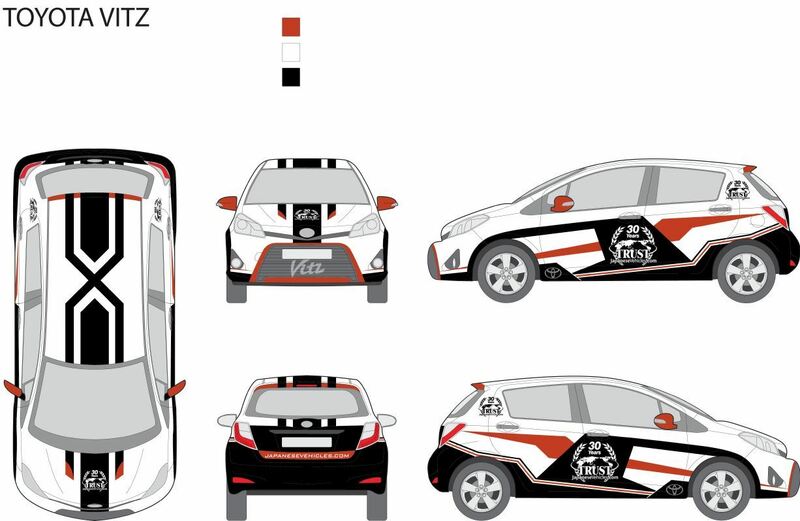 Results for our Car Design Contest are here! Trust Company would like to congratulate all of you for great and imaginative designs you have sent us. This was our very first time doing such competition and we are very thankful for the participant's and voters's time and effort to make this happen, thank you very much for participating! You can visit the contest page to see all the results. Our "Win a free car" campaign has ended. The winner of the Nissan March year 2014 is Ms. Tara from the Bahamas. We have launched web pages and functions reserved for Trust Co. Ltd.'s distributors. Only official distributors can access these pages. If you are interested in becoming an official Trust Company Ltd.'s distributor in your Country, contact us at sales@japanesevehicles.com. Our Japan office will be closed during the New Year holidays. Please note that correspondence may be delayed during the holiday season. We would like to thank you all for your business in 2017 and look forward to serving you in the New Year. We now accept MoneyGram transfers directly to our account in Japan. With MoneyGram you can safely and quickly transfer cash from any Moneygram office in your Country directly to our account in Japan. Please contact our sales staff if you would like to pay by MoneyGram. Besides MoneyGram, we also accept payments by Bank Telegraphic Transfer, PayPal, Credit Card). It is now possible to pay for your car from Japan in real time with Credit Card (VISA or Master card). There is no need to wait anymore to complete the payment for invoice or payment links. The process is simple: just select Credit Card payment from the order page and follow the procedure indicated. Additional payment of 5.8% of the total price will be required. 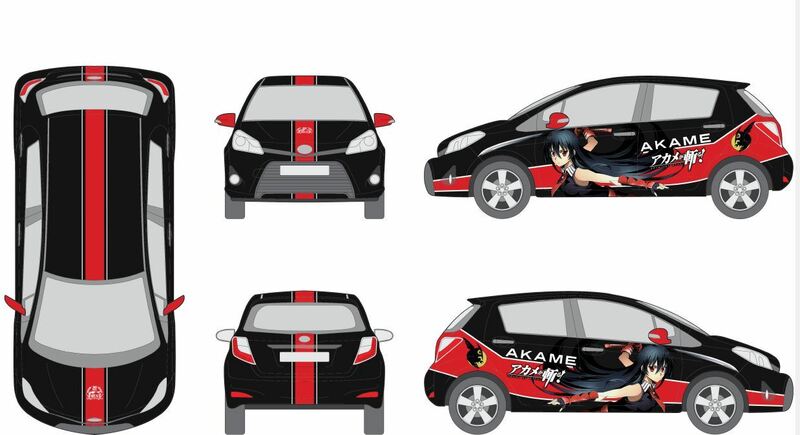 For any questions, please do not hesitate to contact us at sales@JapaneseVehicles.com or +81-52-219-9024. Here is the list of the new stock of used cars and trucks uploaded during the last week. If you live near Chirundu or Lusaka - make an easy transfer to Japan using the post office there (Zampost). Within two hours after the payment at the Post Office, will email you a Confirmation of Receipt of Funds and begin the shipping procedure. We can now accept payments by Credit Card (Visa and Master Card). See our payments page for more information and instructions on how to pay by Credit Card. We would like to inform our Customers and Visitors of JapaneseVehicles.com that prices on some vehicles have been increased. This is due to the weakening of the US Dollars currency against the Japanese Yen. FOB Prices will be regularly changed in the future, up or down, accordingly to the fluctuations of the exchange rate between US Dollar and Japanese Yen. Pro-Forma Invoices for vehicles whose price has changed can be used to redeem the vehicle for the former lower price. Pro-Forma Invoices from JapaneseVehicles.com are valid for 30 days from the Invoice date. JapaneseVehicles.com - Now Open in NASSAU! We have very good news for all clients in The Bahamas! We now have a Local Agent in Nassau to assist you with your vehicle import from Japan! Visit and get a minimum of US$100 OFF your vehicle! For more details about our Local Agent in Nassau click here. Spring Photo Contest starts NOW! Do not forget to ask your friends to vote for your entry! We wish all of our customers a very Merry Christmas and a Happy New Year! We would like to thank you all for your business in the last year and look forward to serving you in 2015. From today you can check if your car comes with a spar key or not directly on the vehicle page. Check it out directly on our website. Have you heard about the 88th Agricultural & Commercial Show currently being held in Lusaka, Zambia? Come to our booth from August 1st to 4th to see our vehicles from Japan on display! We are also offering FREE gifts to all new customers registering at our booth so do not hesitate to come see us! And ... Best things last, do not miss our staff coming specially from Japan at our booth from August 2nd to 4th! I have heard that they are offering Special Deals to all our customers coming to our booth so that might be your chance to get the best deal! For any questions, please do not hesitate to contact us in Lusaka at sales@JapaneseVehicles.com or 0211-847-177 / 0955-229-540. We have updated the design of the Vehicle Pages on JapaneseVehicles.com to make the more informative and convenient. Now you can find more photos and more information about the vehicle and its actual conditions. The new pages also include a convenient quotation function to quickly check the final price to destination. The price for the "Original Stereo System Update" has been decreased to US$ 60. When you request the "Stereo Upgrade option", we ensure that the original stereo installed in the car works properly and we install a band expander so that you can hear thwe radio in your area. When you chose this option, we will install in your car a Pioneer DVD/CD Palyer that you can use to see movies or siompley listening to music. The DVD playes is in English and is quiipped with removable faceplate that we will send you by courier. We would also like to inform that CD Changer and DVD player options are not available anymore. Click here for more info on the current stereo options. Three years has passed since the earthquake and Tsunami disaster in North-East Japan. We would like to thank all the customers for their continuous support of Japan during these years. Some of our customer have recently inquired about the radiation levels on used cars from Japan. We can confirm that all of the vehicles sold by Trust Company through our site JapaneseVehicles.com are safe from radiation. Click here for more details about how does Trust Company ensures that its vehicles are safe from radiation. To better protect the confidential information of our customers and fight theft of identity on internet, we have enabled secure internet connection using SSL on all the pages of JapaneseVehicles.com where personal information is displayed or requested. You can identify when a page is protected by the icon of the "padlock" that shows in the address bar of all the main browsers. Inland delivery to Golela for Swaziland. We inform our customers from Swaziland that we now offer inland transportation of the vehicles directly to Golela. To view the price or receive a pro-forma invoice with inland transportation, just select "Swaziland" as final destination when you check the total price of the vehicle you like. Golela will automatically appear in the delivery options. Buy a vehicle from Trust Company Ltd. and pay at ZamPost Post Office, you can win a Toyota Prado! 1. Simply visit the nearest ZamPost Post Office. 2. Order and pay for the vehicle of your choice. 3. Fill in a coupon and deposit it in the coupon provided. -The customer must order the vehicle from Trust Company Ltd. and pay through the Post office. -Employees of ZamPost and their immediate relatives are not eligible. The promotion is run and administered by ZamPost (Zambia Postal Services Corporation). Zambia: pay at ZamPost Post offices your invoices from JapaneseVehicles.com! Trust Company Ltd. is happy and proud to announce the collaboration with Zambia Postal Services Corporation (ZamPost). From today, our Zambian customers can pay for their Trust invoices directly at any ZamPost Post Offices. The procedure is the same as always: find a vehicle you like on JapaneseVehicles.com, get an Invoice and ask our Sales staff to reserve the car for you. Then, just present the invoice to your ZamPost Post Office and pay. The Post Office will issue a receipt. ZamPost payments are safe, low cost and fast, you will receive our confirmation of reception of funds within two hours. Click here for more info on payments through ZamPost for Zambia. Payments through ZamPost Post Offices are available only in Zambia. We still accept normal payments by Bank Telegraphic Transfer from any country around the world. We inform our customers from Malawi that we now offer inland transportation of vehicles directly to Kasumulu (Malawi-Tanzania border). To view the price or receive a pro-forma invoice with inland transportation, just select "Malawi" as final destination when you check the total price of the vehicle. Kasumulu appears in the delivery options. All the inland delivery destinations from JapaneseVehicles.com: Kasumulu (Malawi)NEW! , Nimule (South Sudan), Chirundu and Nakonde (Zambia), Beitbridge (Zimbabwe), Gaborone (Botswana), Kasumbalesa (Congo DRC) and Kampala (Uganda). For specific vehicles the online calculation of inland transportation is not available. Please contact us for a quote or for any other questions. We announce the opening of our new Customer Service Center in Juba (South Sudan). This new CSC joins our Lusaka, Dar-es-Salaam and Kampala offices to offer local support for all of our customers. The personnel of Juba Customer Service Center can help in the purchase of vehicles from our website and also provide After Sale assistance. For any questions, please do not hesitate to contact our Harare CSC at the coordinates above or contact us at sales@JapaneseVehicles.com or +81-52-219-9024. We would like to thank you all for your business in 2012 and look forward to serving you in the New Year. We inform that we cannot accept payments by MoneyGram anymore. Please see our Payments page for more details. We inform our customers from South Sudan that we now offer inland transportation of the vehicles directly to Nimule (South Sudan border). To view the price or receive a pro-forma invoice with inland transportation to South Sudan, just select "South Sudan" as final destination when you check the total price of the vehicle you like. Nimule will automatically appear in the delivery options. Nimule enters our list of inland delivery destinations: Chirundu and Nakonde (Zambia), Beitbridge (Zimbabwe), Gaborone (Botswana), Kasumbalesa (Congo DRC) and Kampala (Uganda). At Trust we exchange emails with more than 5000 customers each month. To avoid this kind of problems, please keep your email account private and regularly change its password. This simple practice will make much more difficult for bad persons to break into your private account and will protect your personal information. 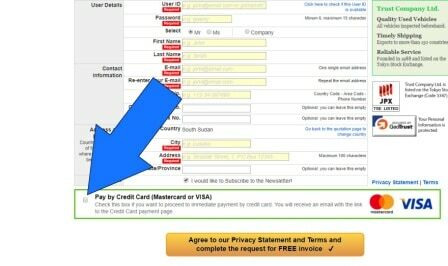 Also, when buying a vehicle from JapaneseVehicles.com, please be sure to always transfer money only using the official methods and details of payment provided on our website. We announce the opening of our new Customer Service Center in Harare (Zimbabwe). UPDATE: February 15, 2013: we inform that the Harare Customer Service Center is no longer in activity. We are working to open a new office in Harare as soon as possible. On Monday 19, November we launched or redesigned home page. Contents are similar to the previous version, but the new page should be easier to use and more convenient. Please email us feedback and questions at sales@JapaneseVehicles.com or +81-52-219-9024. We renewed the downloads page downloads page JapaneseVehicles.com. In this page you can catalogues of all of our used vehicles, divided by category or by type, all in PDF format. For any questions or feedback, please do not hesitate to contact us at sales@JapaneseVehicles.com or +81-52-219-9024. We renewed the "My Account" section of JapaneseVehicles.com. The new account pages should be more user friendly and provide better information, please try them by signing in and then clicking on "My Account". -Better intro page with vehicles you might be interested for. -Redesigned special request function to request used car models that cannot be found in our stock. -Improved information in the "Shipping Information" page. -Allow real time tracking of the ship with your car (only for vessels with this function enabled). -Personal details page more flexible and with enhanced security. Purchase a vehicle before August 31st, you can win a US$ 500 cash back! - All clients who pay in full during the campaign period will automatically be entered into the draw. - 2 winners will be selected every week. - 8 winners in total. - The cash-back will be transferred to the winners one their vehicle has been shipped. Note: Entry date will be the date of full payment received in Japan. This campaign is valid for vehicle purchases only. We have launched a new version of JapaneseVehicles.com optimized for Smartphones. Yahoo.com informed yesterday that the passwords of approximately 450,000 accounts were leaked. To avoid any problem and risk of hacks, we recommend all Yahoo email users to change their Yahoo account password. Once more, we suggest all users to keep your email account private and regularly change its password. We would like to inform our Zambian customers can now provide inland transportation of the vehicles directly to Nakonde. To check the prices or receive an free quotation including this inland transportation,, just choose "Nakonde" in the quotation page of the used vehicle you want, the price will appear immediately. The price includes port clearing costs in Dar-es-Salaam, transportation by driving to Nakonde and up to five days of free storage at the arrival bonded yard. Nakonde joins the other inland delivery destinations already available to Chirundu (Zambia), Beitbridge (Zimbabwe), Gaborone (Botswana), Kasumbalesa (Congo DRC) and Kampala (Uganda). Hello, last week we upgraded the quotation page of our website, where you can see the total price to any destination. We have also added two new extra options: "New tyres" and "Maintenance package", that you can choose when ordering a car. The new quotation page should be much faster and user friendly than before, please try it by clicking on the "Free quotation" button from any vehicle page. A year has passed since the earthquake and Tsunami disaster in North-East Japan. We would like to thank all the customers for their continuous support of Japan during this year. We have recently received inquiries about radiation levels on used cars from Japan and we can confirm that all of the vehicles sold by Trust Company Ltd. through our site JapaneseVehicles.com are completely radiation safe. Q: Is there any radiation risk in the area where Trust Company is located? A: All official surveys confirm that local radiation levels here in Nagoya are normal. We are very far from the Fukushima nuclear plant where the incidents have occurred. Q: Are Trust Company vehicles inspected for radiation and who inspects them? A: All of our vehicles are checked for radiation when they enter our Yard. For cars in Nagoya, the inspection is performed by Japan Cargo Tally Corporation (www.jctc.or.jp). This inspection is done to ensure the total safety of our staff, of the personnel that handle the shipment, and by extension, of the customer who receives the vehicle. Q: What happens to the vehicles that do not pass the inspection? A: All vehicles that do not pass the inspection are immediately removed from our Yard. We get rid of them and they will not enter our stock. Q. How can I trust Trust Company Ltd.? A: Trust Company Ltd. has been exporting Japanese cars since 1988. We are member of JUMVEA and the Nagoya Chamber of Commerce. Our company is the only exporter of used cars listed on the Tokyo Stock Exchange. For any questions and this or other matters, please do not hesitate to contact us at sales@JapaneseVehicles.com or +81-52-219-9024. Yesterday we completely renewed the Spare Parts section of our Internet site. -Indicative price list for most common parts readily available. -New ordering pages for mechanical shop. The above changes should make ordering spare parts from JapaneseVehicles.com simpler than ever. Today we are announcing our new vehicle grading system. We made this change to simplify the selection as well as improve the quality of the vehicles you order and receive. The highest quality for used vehicles. Great condition vehicles: clean interior, almost no visible scratches, sound mechanics. Only the very best quality vehicles are listed in this category. Very good condition vehicles. No mechanical or electrical problems. No relevant damages on the body. 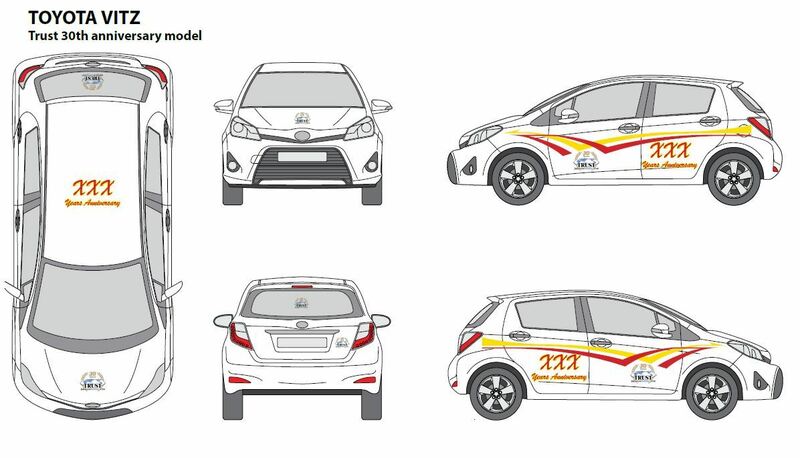 These vehicles represent the high Trust quality our customers are used to. Might presents various scratches or dents. Any major defects found will be written down within the vehicle descriptions. In order to provide the lowest prices we do not accept any claims on vehicles graded within this category. WHAT DOES CHANGE IN TERMS OF VEHICLE QUALITY? We have revised and improved the way we assign a grade to the vehicle after it goes through our acquisition process (cleaning, inspection, maintenance). -Minor scratches and dents difficult to see. We believe these changes will make your purchase experience even better and more reliable than before. Mr Mbiana K. from Congo DRC. We will contact the winners by email to arrange the delivery of their brand new digital camera. Thanks to all of our customers for their participation and for the many vehicles purchased in December. Beware of email scams (Update). We have been informed that the scammers will ask victims to remit a payment to the bank account below. Do not transfer any money to this account, it is NOT related in any way to Trust Company. When buying a vehicle from JapaneseVehicles.com, please be sure to always transfer money only using the official methods and details of payment provided on our website. A few days ago the following email was sent to many people over the Internet. Some criminals posing as Trust Company sales and even using the name of our sales person sent this email to try to scam people and take their money. If you received the email below or similar emails, please do not reply. | on a few stocks of landcruiser jeeps. | your email address unpon your request. Today we updated the design of the vehicle list page of our website. The new vehicle list should be more clear and easy to understand. Christmas lottery: you can win a digital camera! JapaneseVehicles.com will reward with a brand new digital camera four (4) customers who purchase a vehicle from December 1st to 22nd. Every customer who purchase a vehicle in the period from December 1st to December 22nd will automatically participate to the lottery. Date of entry is reception of full CIF payment in Japan. Prizes are four (4) digital cameras Canon SX150 with memory card. We will send the cameras by DHL courier. We will draw the winners on December 23rd and inform them by email. We will draw one winner for each of these areas: Africa, Americas, Europe/Asia, Pacific. Silver Warranty price changes from US$110 to US$150. The price for the Standard Warranty does not change and remains US$50. The new price will allow an even better follow up and coverage in the cases when Silver Warranty assistance is needed. More information about our warranty options is here. Need an utility vehicle? We have NEW wide selection! Wide selection of utility vehicles available this month! August is the best chance to buy your truck, van or pick up from us! Click here to see our utility vehicles list! Summer Sale 2011 ended. Now special extension for Pacific area until 31st of July! Thank you every one, our special SUMMER SALE 2011 ended yesterday 25th. We very much appreciate all orders during this sale. Now for Pacific area customers, we have decided to extension this sale for one more week, until 31st of July! Don't miss this chance! To get special discount, we have sent you newsletter with discount code, so just visit our website and place an order and enter the code. Click here for our newest stock! Our special SUMMER SALE has begun! For a limited time all the vehicles in our stock are offered with US$200 OFF! Order a Japanese used car today and instantly get an US$200 discount. This is a limited time offer, hurry in and get the best deals. We have received a message from a customer whose email account was hacked: a stranger was sending emails using her name. This is potentially very dangerous. Criminals might send emails pretending to be you or steal your personal information. To avoid this kind of problems, it is useful to regularly change the password of your online email account (Google, Yahoo, etc). New "Low cost" shipping rate to Nassau, Bahamas. We inform that, beginning from June 14, we are offering a “Low Cost” shipping rate for Nassau, Bahamas. Freight rate to Bahamas has been discounted 25% compared to May 2011, the new rate is automatically calculated for all new orders. The estimated delivery time for used vehicles sold with this discounted rate is approximately 10 weeks. Please enquire if you need a quote using faster shipping lines. Great news for Zambia customers. We can now provide transportation of your vehicle directly to Lusaka! The price includes port clearing costs in Maputo (Mozambique) and safe transportation by car carrier to Lusaka. This is a top quality service at a very competitive price. Receive your Japanese second-hand vehicle directly in Zambia, without the need to organize the transportation by yourself! Do you want to know the price or receive an invoice? It is easy, just choose "Lusaka" in the quotation page of the vehicle you want, the price will appear immediately. UPDATE March 27, 2012: we have changed the final destination of the transportation to Zambia from Lusaka to Chirundu border. Using Chirundu as final destination will allow for a faster and easier delivery. We would like to inform our customers from Zimbabwe that the ban on import of used cars and vehicles to Zimbabwe has been deferred at least until October 31, 2011. The delay was confirmed last week from Communication and Infrastructure Development Minister Nicholas Goche. For more information, please see this article on the Herald Zimbabwe. This piece of news confirms that it is still possible to buy high quality, low cost Japanese used cars for Zimbabwe. We also remind that, for the convenience of the customer, we offer the delivery of the vehicles directly to Beitbridge at very competitive prices. Four arrested on suspicion of fraud using fake vehicle postings. This piece of news (automatically translated by Google) describes the arrest of four persons suspected of fraud using three companies on a famous vehicle posting website. They are accused of collecting US$500,000 in payments for fake used vehicles postings from victims-customers from 32 countries. Vehicles were never shipped. Japanese Police is beginning to crack down on these criminals who steal moneys from customers abroad and we might read similar news in the next times. Once, more, we strongly recommend buying used vehicles from abroad exclusively from trusted and proven importer and dealers. About us, How to buy and FAQ pages update. Today we updated some pages of our website. The "Ordering" page has been retired and its information included in the "How to buy" page. With this update we hope to make our website even more informative and user friendly. We have been receiving many inquiries about radiation safety levels on vehicles imported from Japan. We would like to confirm that there is no risk of contamination by radiation to any of our vehicles. We are very far from the Fukushima nuclear plant where the incidents have happened and all official surveys confirm that local radiation levels are normal and do not differ from the past ones. All of the vehicles from JapaneseVehicles.com are completely radiation safe. We also wish to inform you that, if needed, we can provide an official document confirming the safety of any vehicles sold beginning from today. More than a week has passed since the Earthquake and Tsunami that hit Northern Japan. The damaged Nuclear Reactor of Fukushima is slowly stabilizing and up to date there were not big releases of dangerous quantities of radioactive materials. Concerning our operations at JapaneseVehicles.com, we confirm that everything is proceeding as per normal. Our offices, Yards and Vehicles have not been affected by the Earthquake, subsequent Tsunami and Nuclear Reactor crisis. Please refer to the map below showing our location in relation to the affected area. On March 11, Friday, a strong earthquake and the resulting tsunami hit the Northern-East coast of Japan. This is a huge disaster: entire cities have suffered severe damage. We are located in Nagoya, in central Japan and we were not touched by this catastrophe. We would like to reassure our customers that all our operations are proceeding as normal. Our offices remain open as usual, our yards and all our vehicles are unharmed. Concerning shipping schedules, the Shipping Companies are confirming that in general there will be no changes or interruptions in the service. In the case that any specific vessel is delayed, we will promptly contact who will be effected. Lastly, we would like to thank all the customers who are emailing us messages of sympathy. Thank you. Today we announce some changes in the stereo options that can be installed in your vehicle. A grade-up CD Player is now available: the Pioneer DEH-3350UB equipped with USB port. A high capacity 8Gb USB Memory Key is included in the price. You can store all your songs in the USB Key and listen them while driving. This deck is also compatible with IPod, IPhone and various other portable music players via Aux-in. a. Added contact details of our Customer Service Centers in Lusaka (Zambia) and Kampala (Uganda) to the contact us page. 1. Select the destination country for the vehicle. 2. Click on the blue button "Show Delivery Places". 3. Select from the list the delivery place you prefer. Great news for customers from Botswana or Zimbabwe. We can now provide invoices up to Beitbridge (Zimbabwe) or Gaborone (Botswana), inclusive of clearing in Durban and transportation to your country. This is a top quality service for a very competitive price. Receive your Japanese second-hand vehicle in Zimbabwe or Botswana, without the the need to organize transportation from Durban! Please contact us for more info or if you want to receive an invoice to your inland destination: sales@JapaneseVehicles.com or +81-52-219-9024. for the benefit of all customers around the world, we have extended our business hours. Our NEW office business hours are: 7:00am to 2:00am (Japan Time). Please do not hesitate to contact us via telephone or Skype! For any questions sales@JapaneseVehicles.com or +81-52-219-9024. Wide selection of SUV/4WD vehicles. We have a wide selection of SUV/4WDs available for you right now. Over 100 off-road vehicles of Japanese make (Toyota, Nissan, etc) and foreign make (Mercedes, Landrover, Ford, etc) are waiting for you. Click here to see the full list of SUV/4WD vehicles. On Monday the 1st of March we had an interview with the Georgian radio station "Auto Radio". The interview was transmitted live and we had we had the possibility to explain how to buy and import a used car from Japan to Georgia. We thank "Auto Radio" for the opportunity and hope the information was helpful for our many customers in Georgia. Payments in EURO now Accepted! We accept payments in EURO now! In line with Trust Company's commitment to support the needs and convenience of our valued clients, we now accept payments in Euro. Please contact us for details at sales@JapaneseVehicles.com. ZAMBIA TV CREW AT TRUST OFFICE! ZNBC (Zambia National Broadcasting Corporation) TV crew visited our office for a courtesy call on Friday, 25th of MAY 2008! We would like to thank ZNBC as a major TV station in Zambia for their courtesy call.